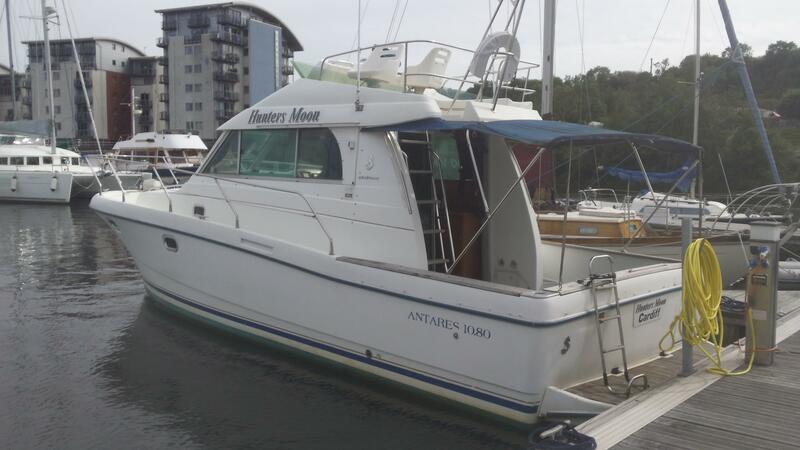 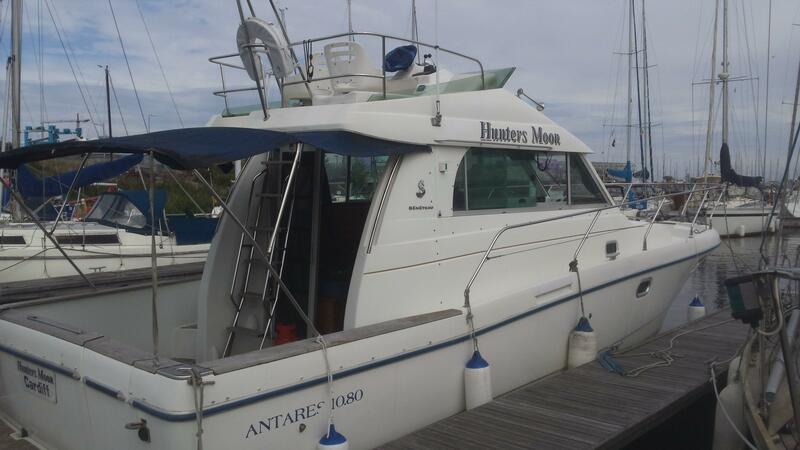 The Beneteau Antares 10.80 is an ideal boat for family cruising or a spot of fishing with friends. 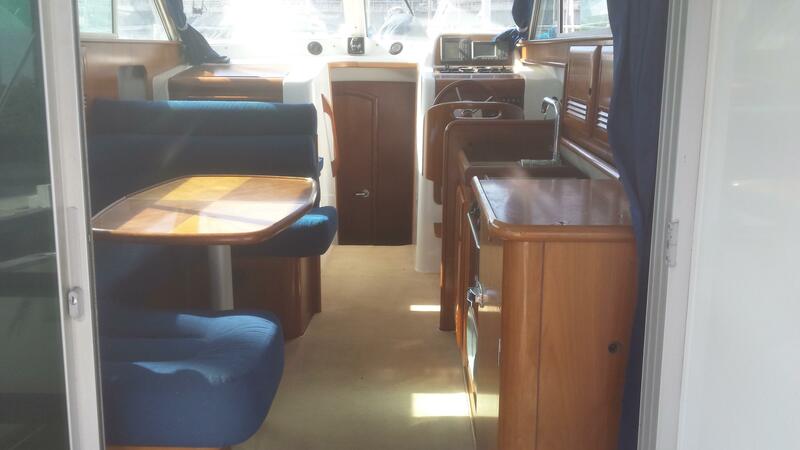 Two good sized cabins, a spacious heads and a comfortable saloon, powered by twin Volvo KAD300's. 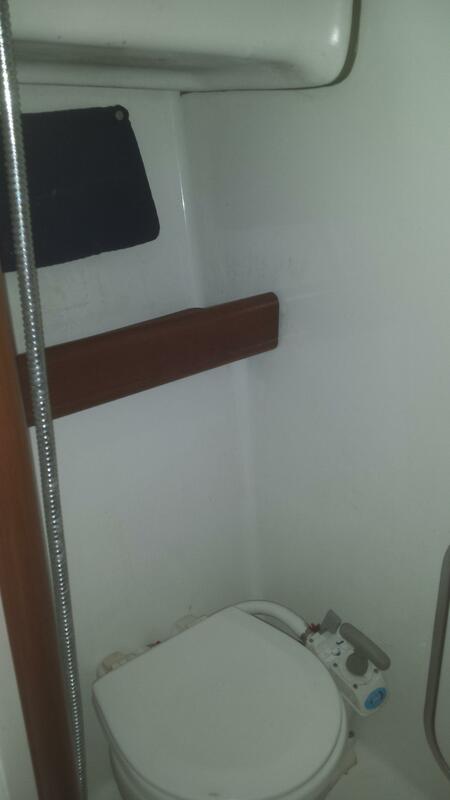 Lying Cardiff. 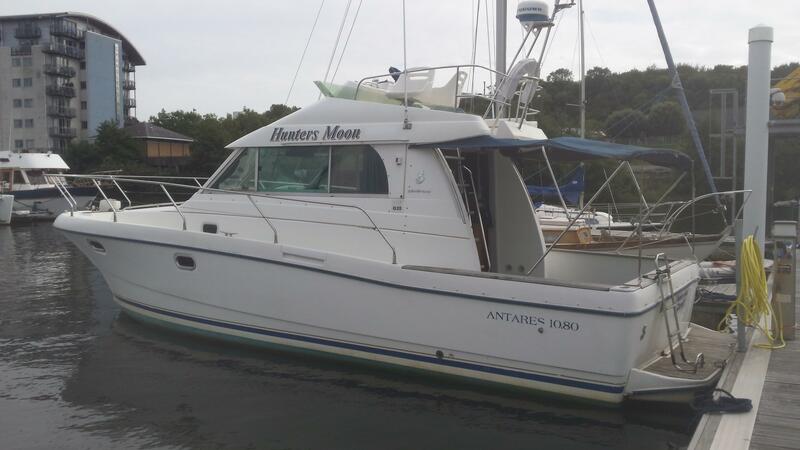 Length at Waterline: 38' 2"
Twin Volvo 285hp inboard diesel engines with shaft drive with approximately 610hours. 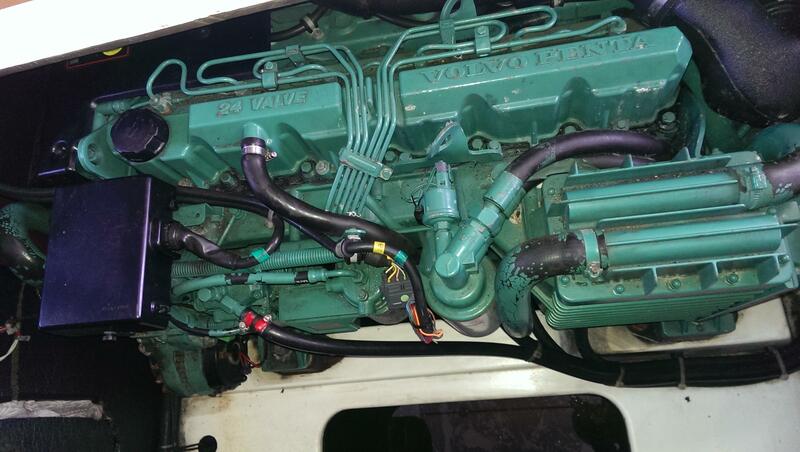 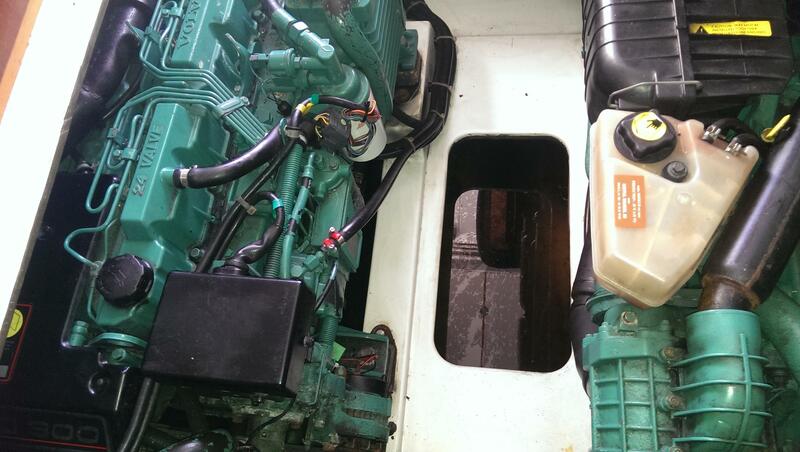 4 batteries in total all charged by shore power and engine alternator. 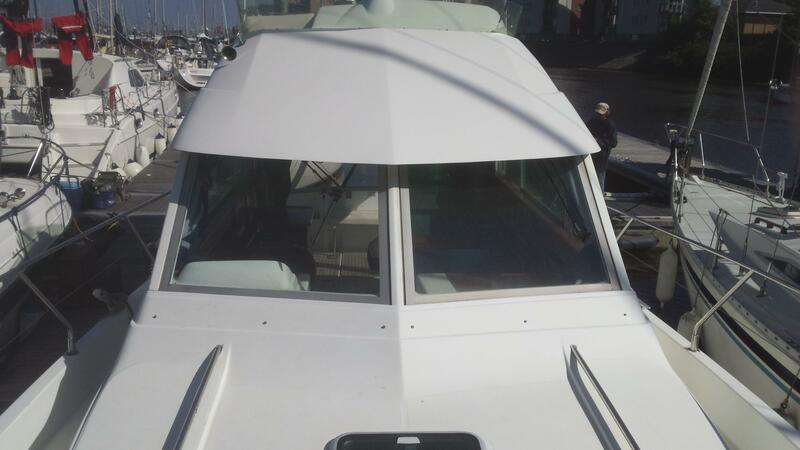 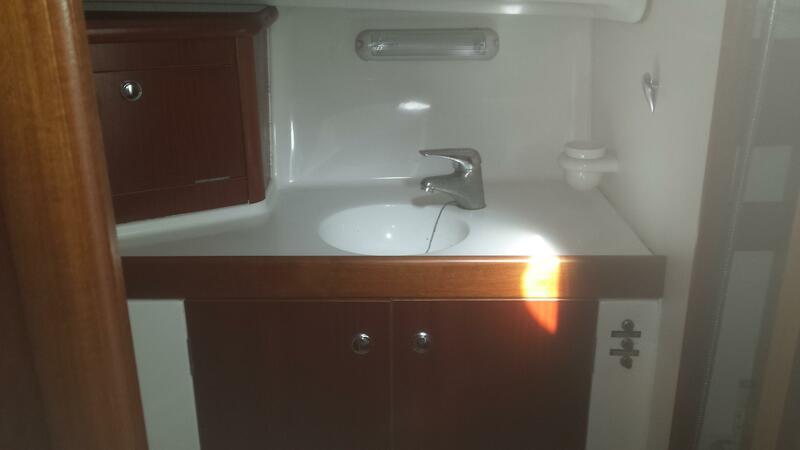 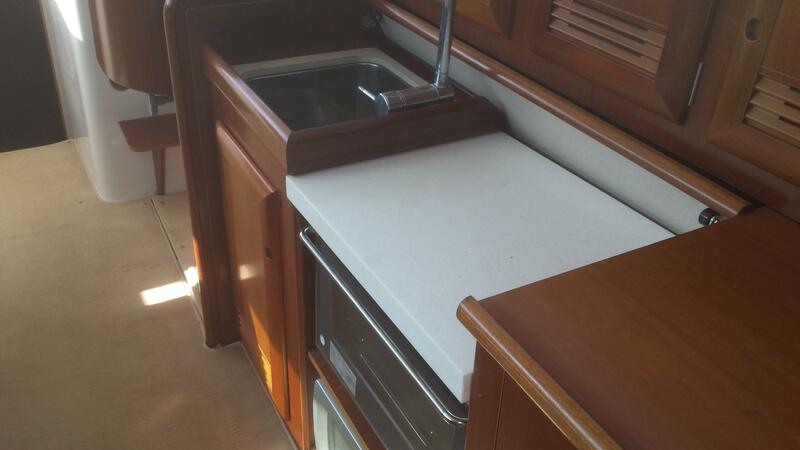 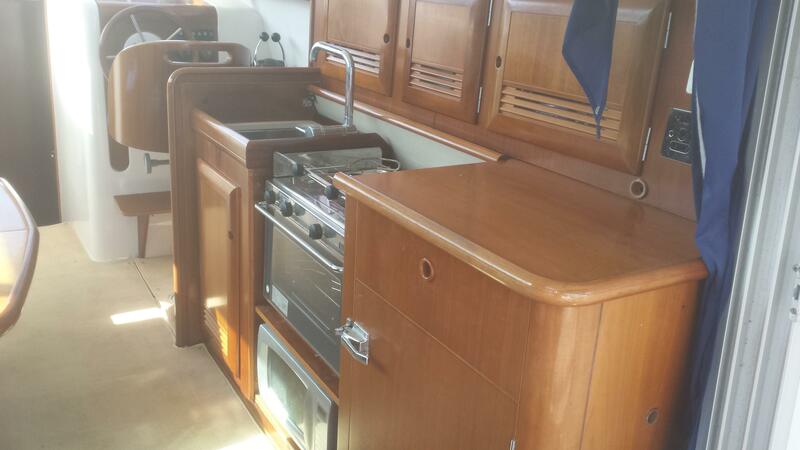 The large forecabin has a double "island" berth with polished wood cabinetry. 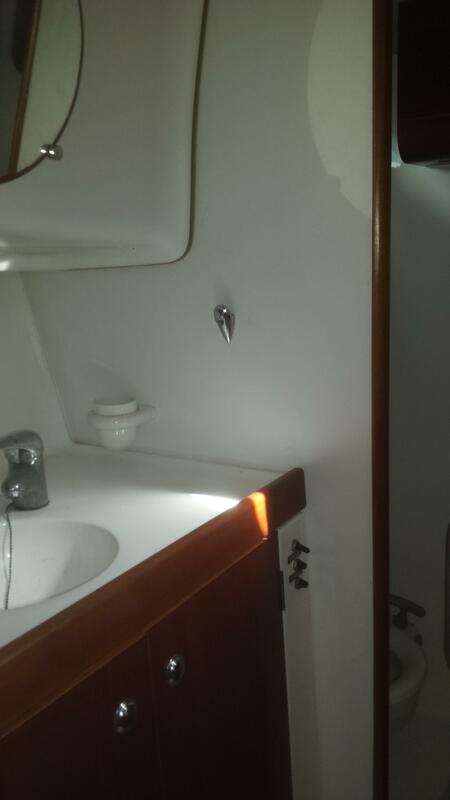 There is a starboard side bulkhead private access door into the large head which has a hand basin and a marine WC and a hot/cold shower. 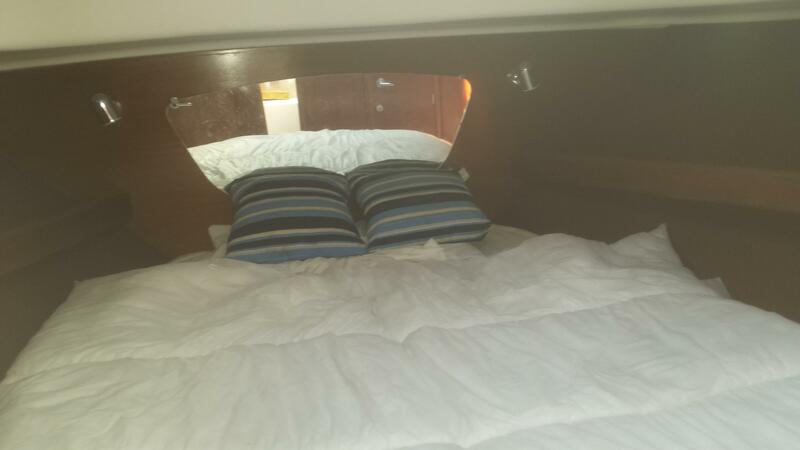 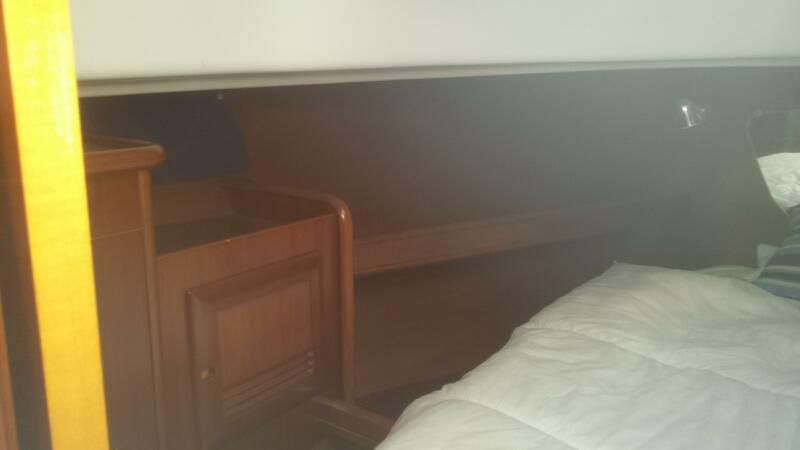 There is a second private cabin with two full size single berths and locker storage. 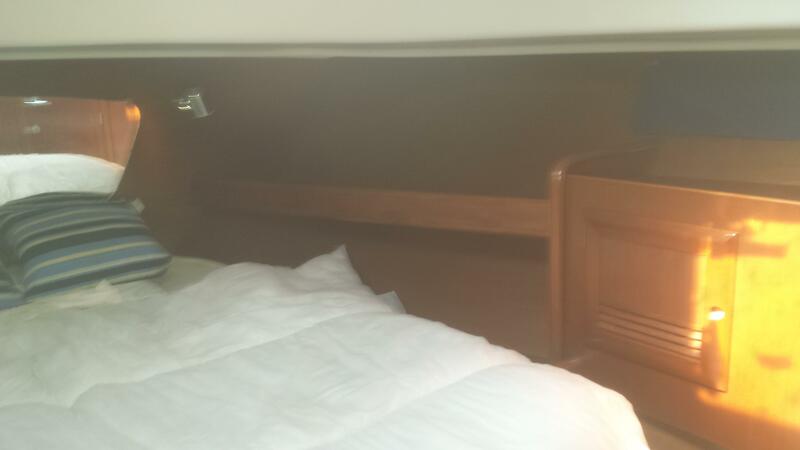 Companionway steps lead up into the saloon and there is generous seating on the portside. 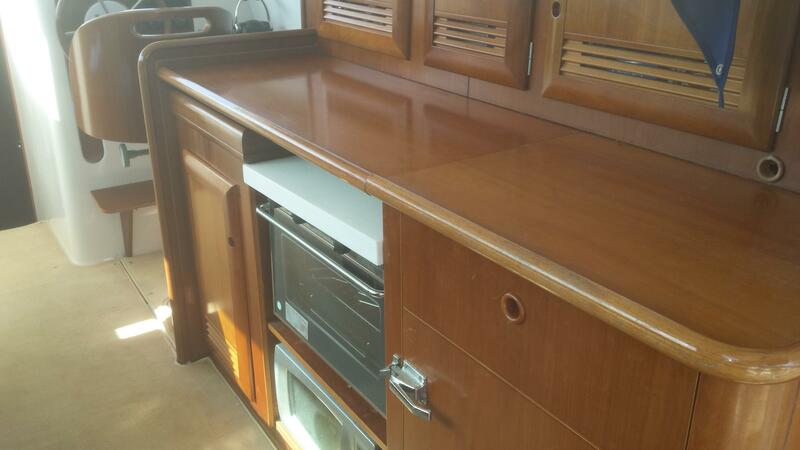 The galley opposite has a stainless steel sink with hot/cold pressurized water supply, a two burner gas stove and oven, a microwave oven and a fridge. 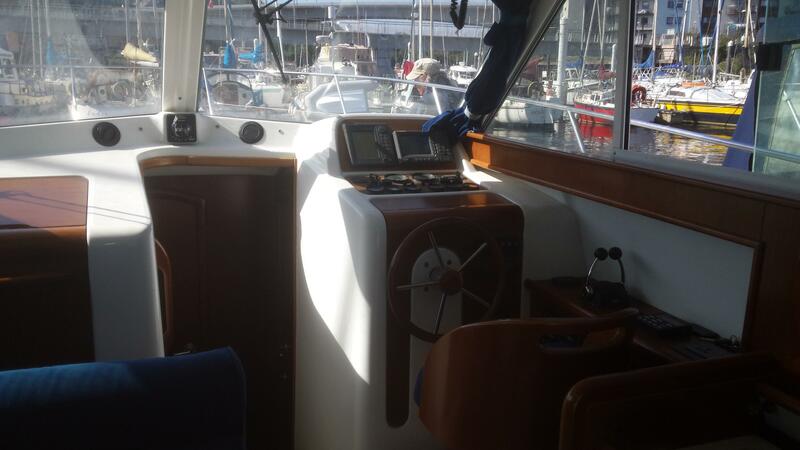 The helm is located on the starboard side and has full instrumentation for the two engines including EDC (fly by wire) gear/throttle levers. 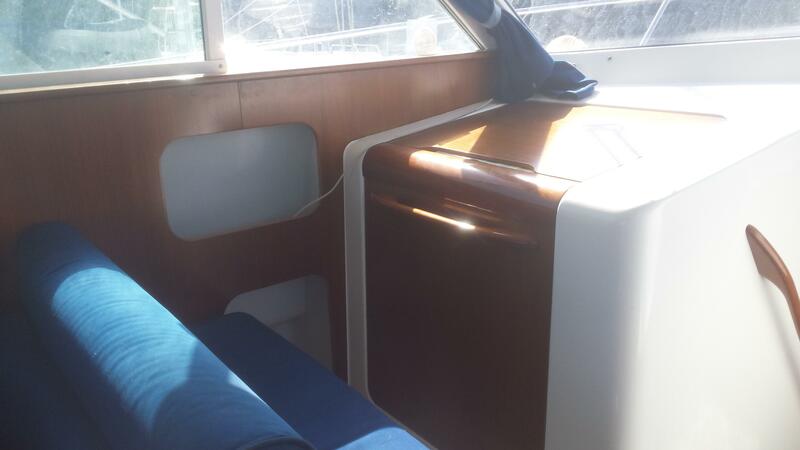 There is a double co-pilot seat opposite the helm. 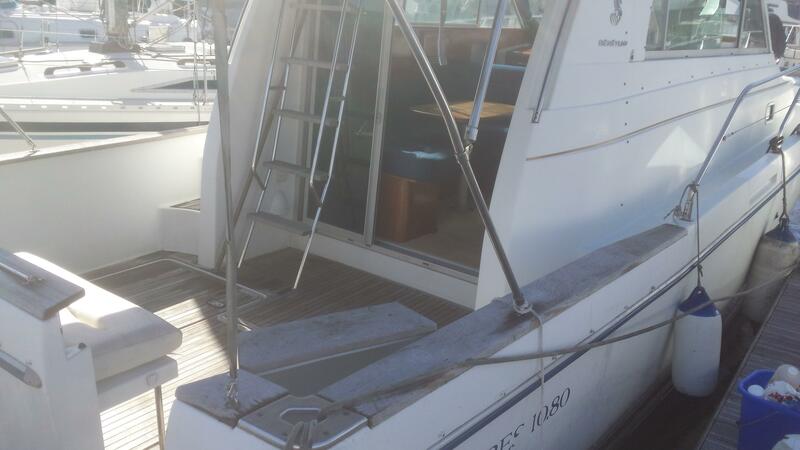 Patio doors lead out into the cockpit and steps lead up to the Flybridge. 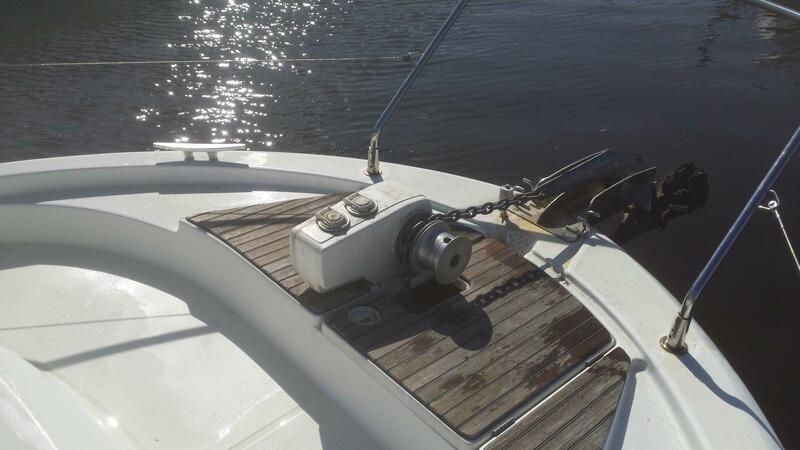 Forward, spring and aft mooring cleats. 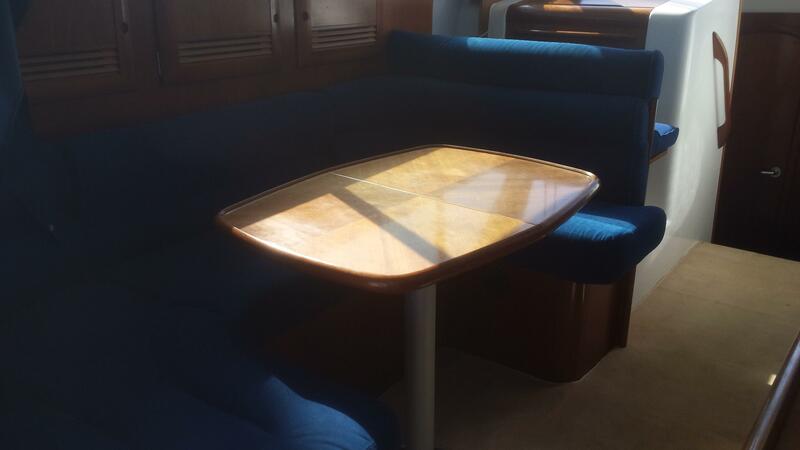 Full set of cockpit covers. 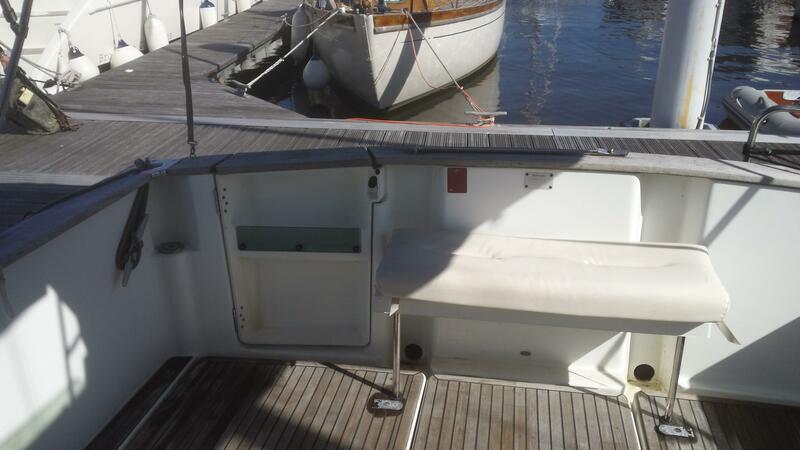 Small rib and 5hp outboard.